Halo CE taunted us very early on when that game's Elites could strike us down with an energy sword but the Chief could never get his hands it as it disintegrated when dropped by an Elite. Fans wanted to use it and badly. 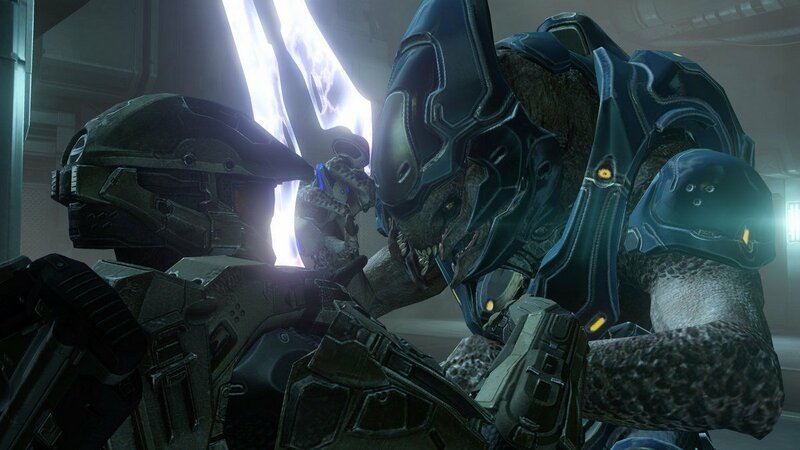 Halo 2 thus let people have the chance to slice and dice their opponents and the Halo multiplayer universe hasn't been the same since. When Boy Scouts go camping, they take a knife with them. Same can apply in Halo - when camping, a sword in your back pocket can be quite useful for when an enemy chances upon you. Normally when sprinting with normal weapons, if an opponent shoot you, the shots will slow you down a touch. A sword wielding player is immune to this so there's an advantage to be exploited. Remember to keep an eye on your sword's energy level - you don't want to be caught with an uncharged sword as basically you'd be slapping your opposition with a feather duster which is fine if you like being tea bagged.